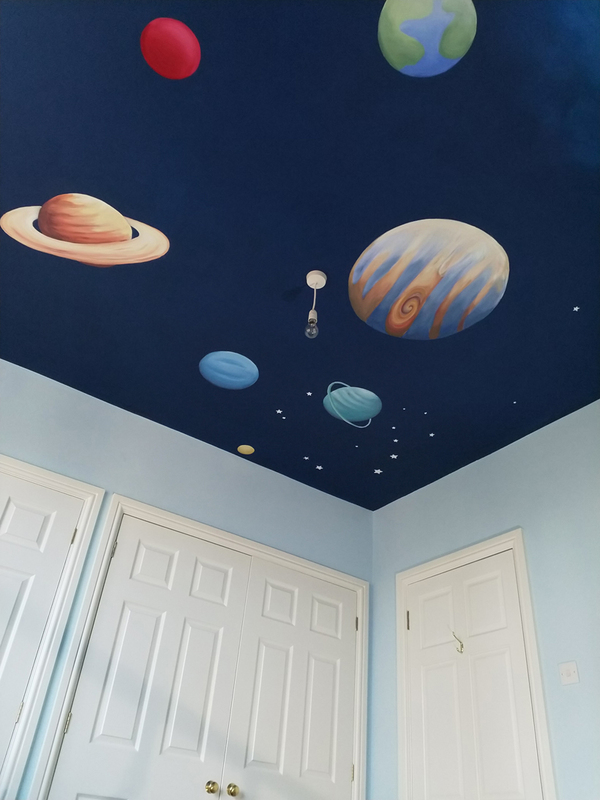 A commission to transform a child’s bedroom into a magical landscape with the Solar system on the ceiling. 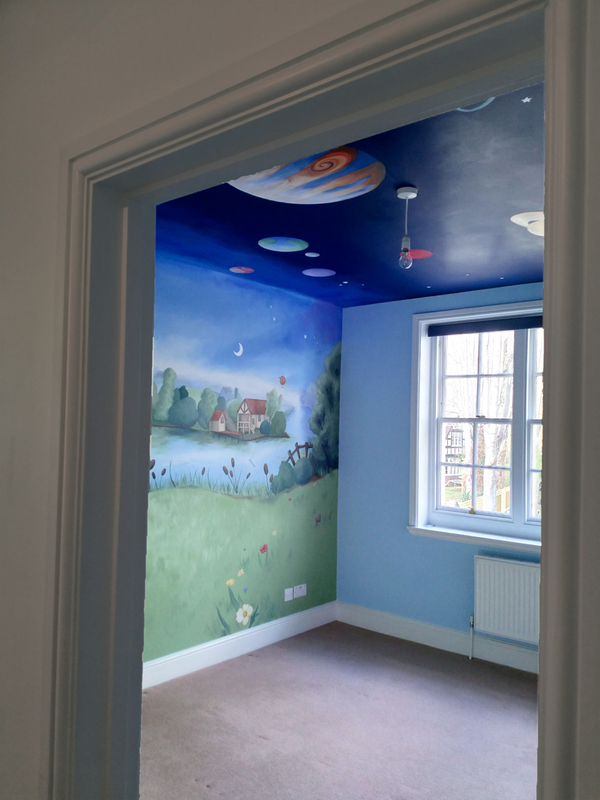 This mural was inspired by Fern Hollow, Wind in the Willows and the local landscape near the River Thames. A walk around the mural.